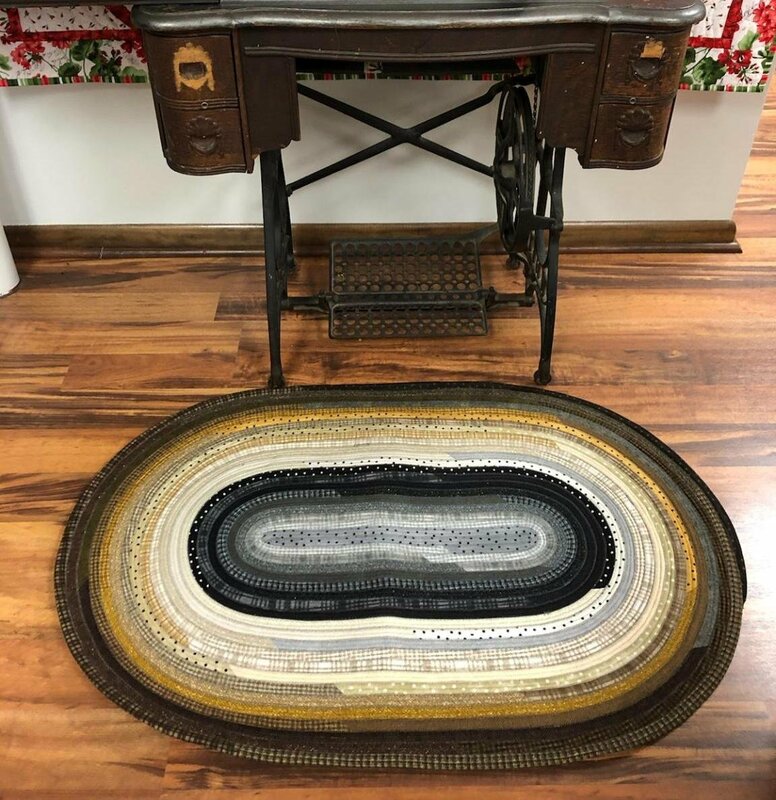 Make this fun and unique rug that no one else will have. Use a jellyroll, batting and thread to make a 20" x 44" rug. This is a two day class. Requirements: Attendees must pay and pickup pattern and jellyroll prior to class.